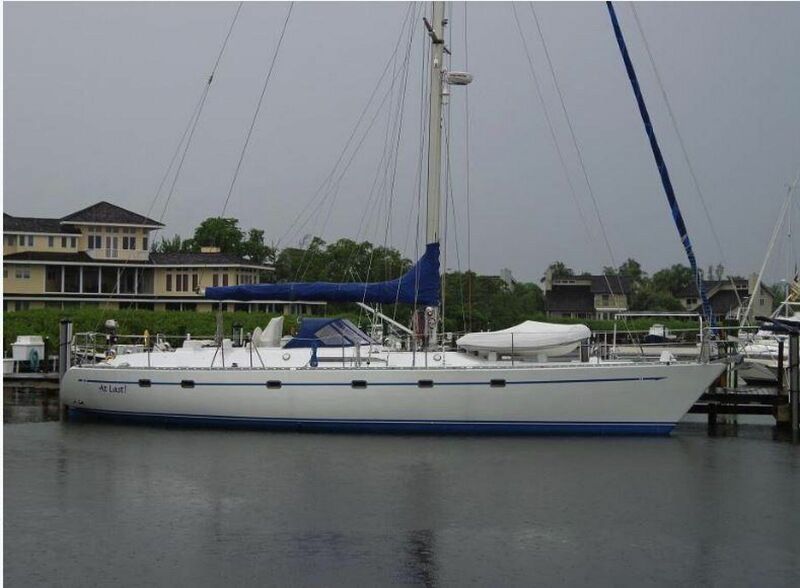 At Last is a 1989 Tayana 55 that has been fully restored by her present owner with an open checkbook. 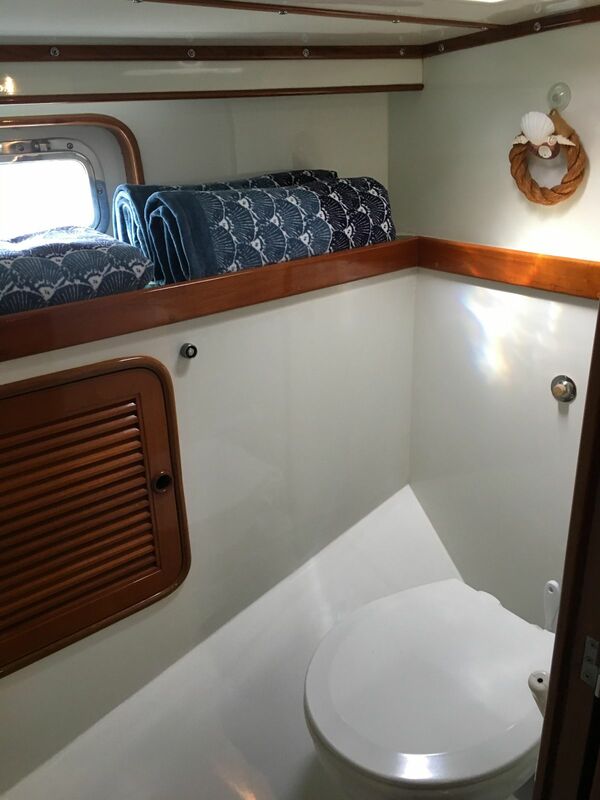 She features a 2 stateroom teak interior with a gorgeous custom head and shower forward. The fully equipped galley is in the walk-thru which leads to the generous aft stateroom. 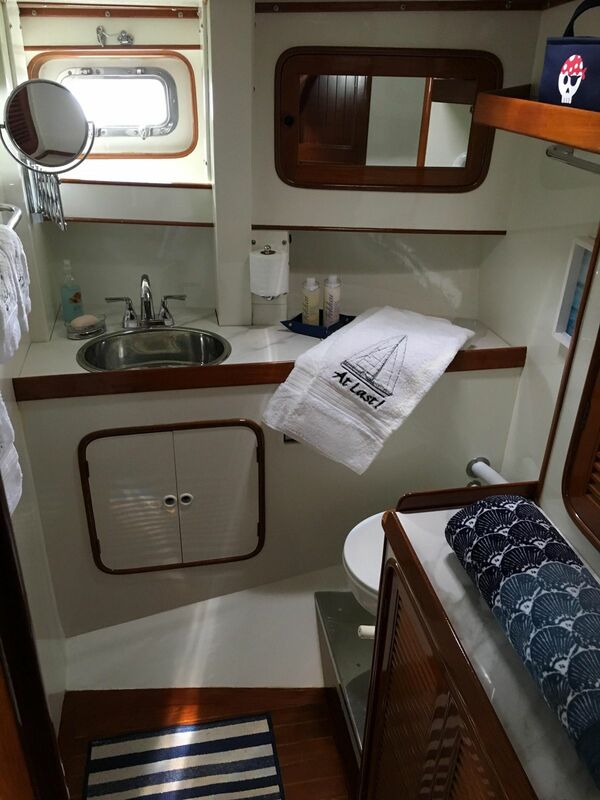 "At Last" sleeps 5 in her two generous staterooms each with ensuite heads and separate shower stalls. 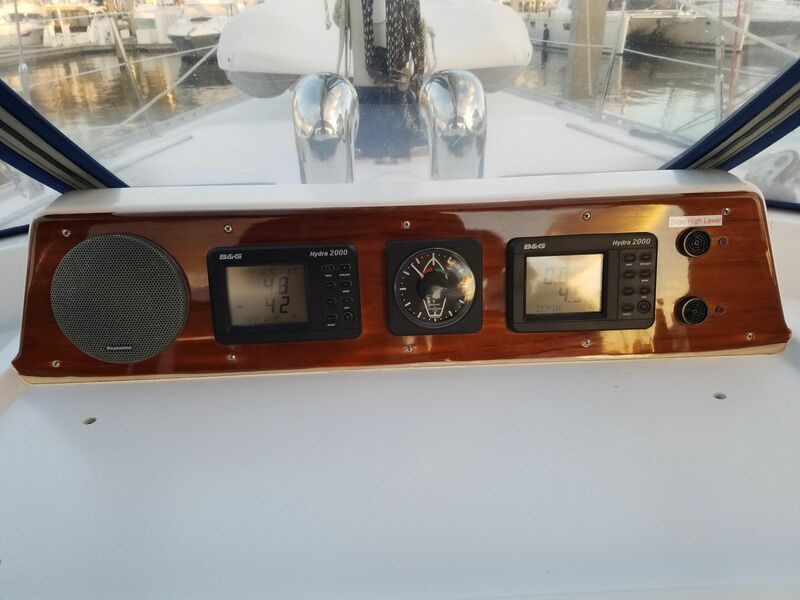 The layout starting from the bow is as follows: The sail locker is forward, has a separate deck entrance and a custom reinforced bulkhead for bluewater safety. 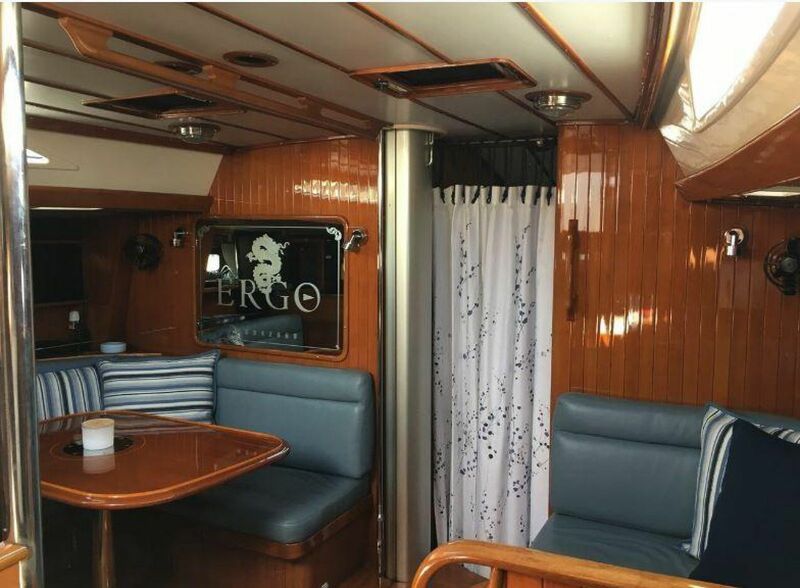 The salon is amidship and has a cockpit entrance, U-shaped sofa to starboard and L-shaped dinette to port. The dinette has a custom etched glass mirror and a custom table. 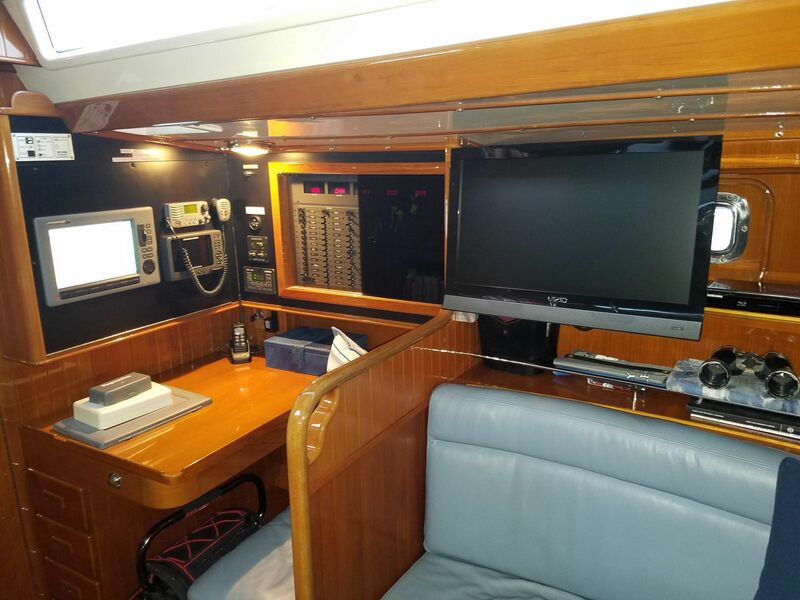 The navigation station is aft of the dinette. 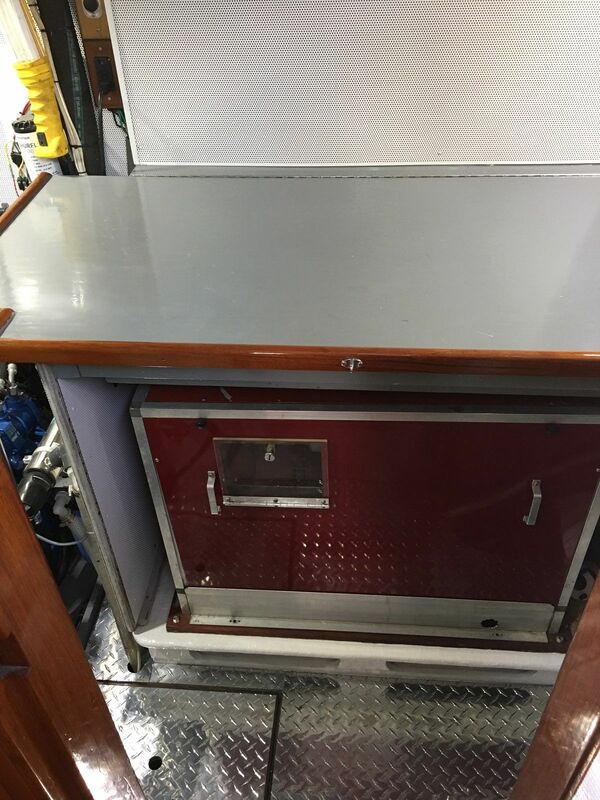 An entrance to the workshop/engine compartment is between the navigation station and the companionway steps. 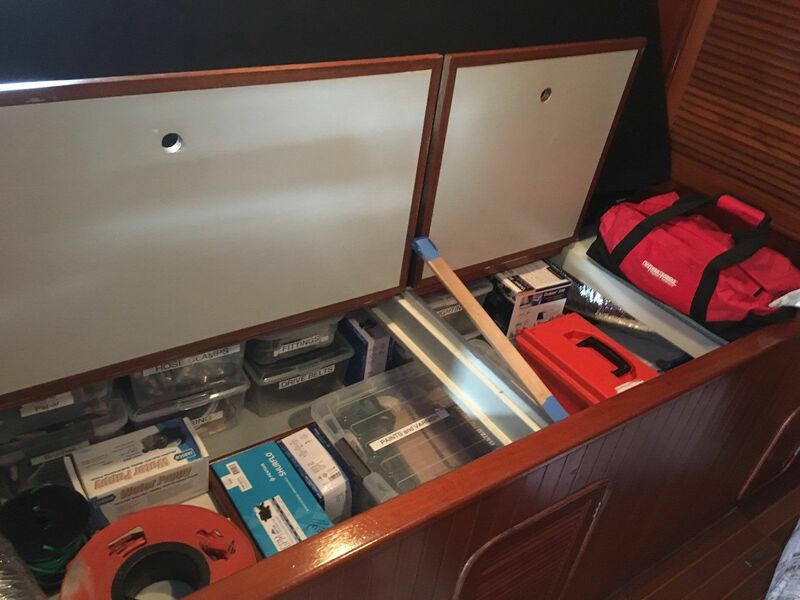 The features of the workshop are an L-shaped workbench and cabinet/drawer tool storage. The engine can be accessed from all sides, including a cockpit deck hatchway. 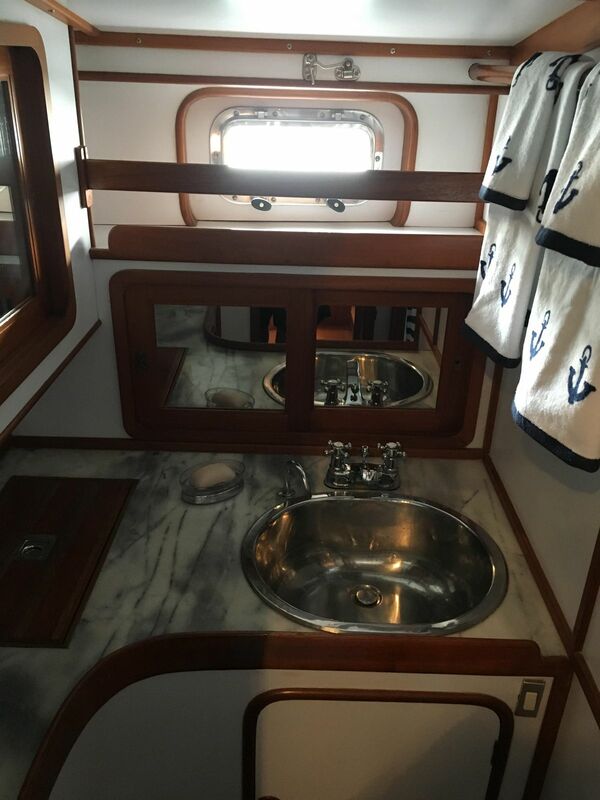 A companionway is forward of the salon with a large head with new fresh water flush head to port and a stall shower to starboard. 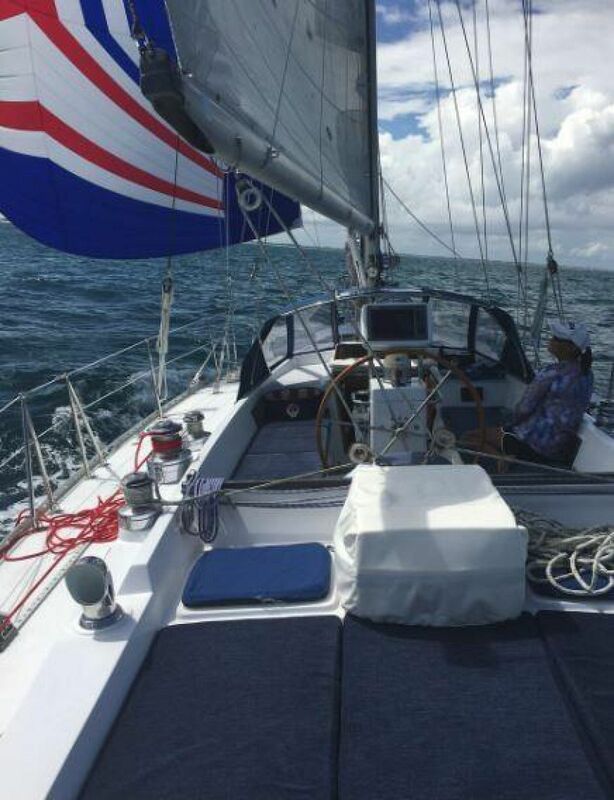 Forward is a double berth to port a single berth to starboard. 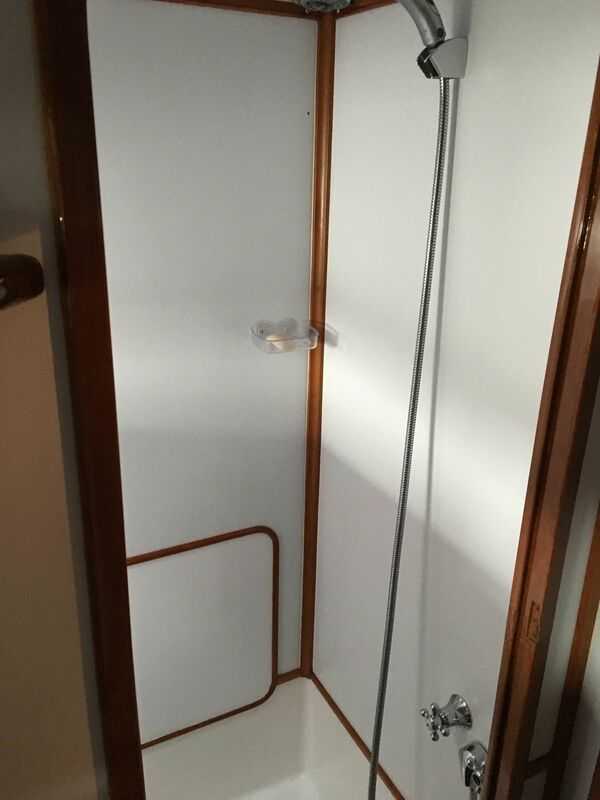 The custom forward area has a large amount of storage space and hanging lockers. 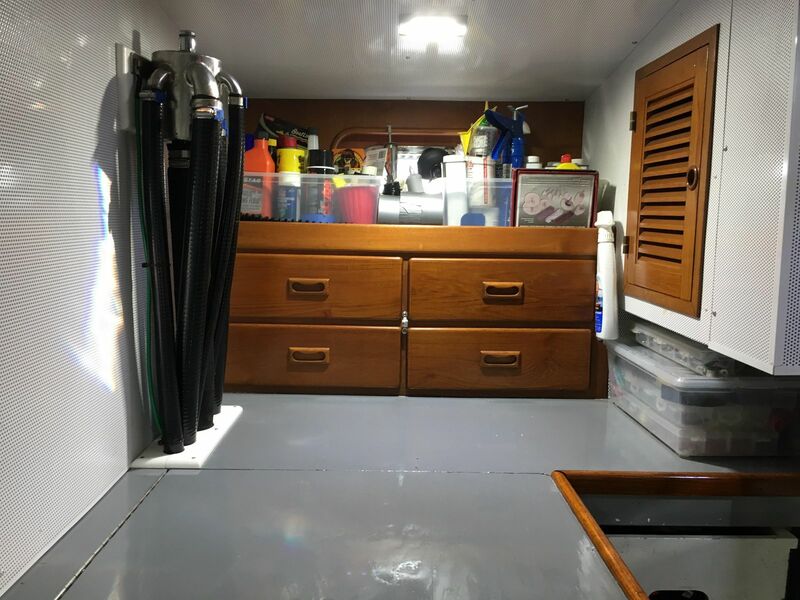 A walk through galley is aft of the salon and starboard. 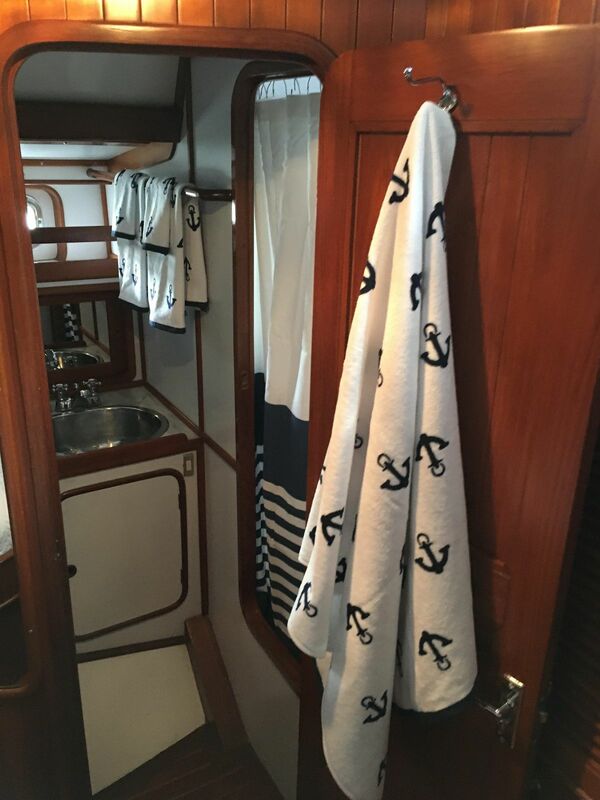 The master stateroom has a walk around full berth, a new freshwater flush head to starboard and a shower with basin to port. A built-in swim step is on the stern of the vessel. The galley is located to starboard along the walk thru to the aft stateroom. 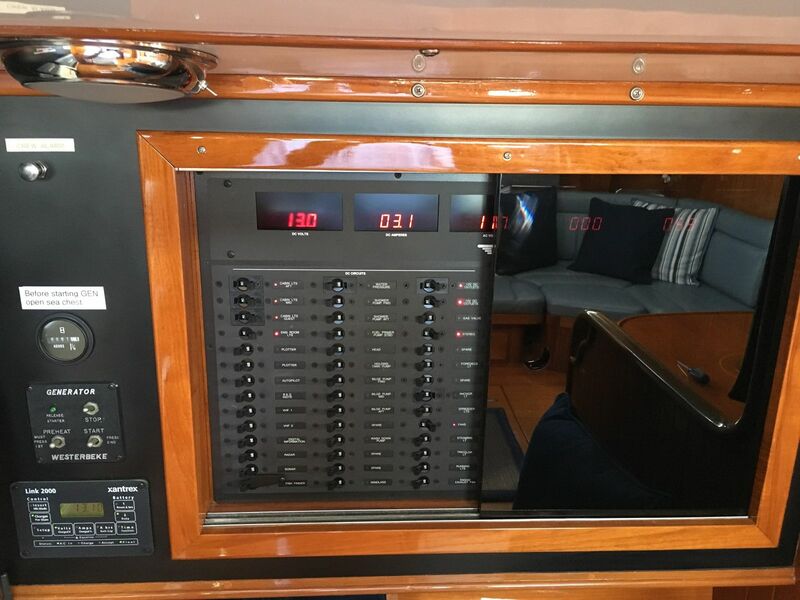 There is good headroom, light, and ventilation which makes meal preparation whether at anchor or underway a pleasant experience. 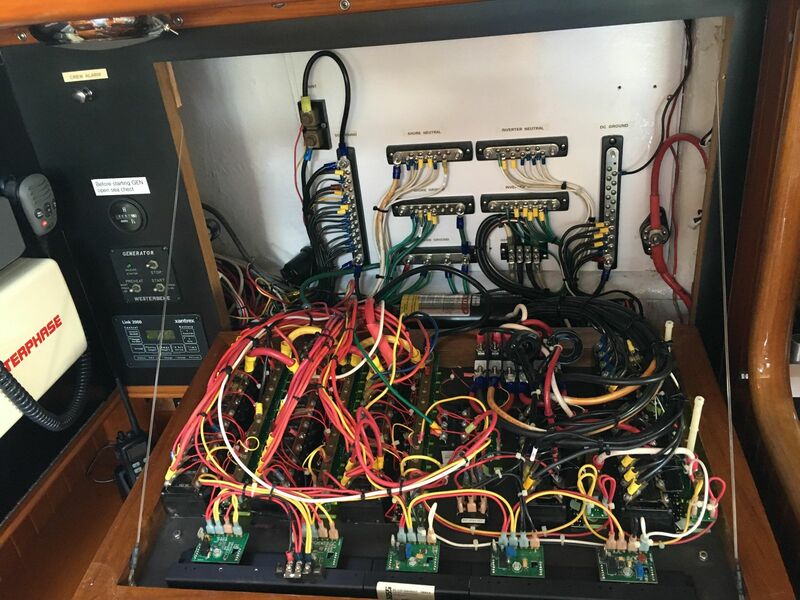 The engine room on "At Last" is a thing of beauty. Skillfully organized and detailed it is a great workshop for any needed repairs. The Tayana 55 designed by the Dutch Naval Architect Pieter Beeldsnijder, recognized throughout the world as premiere designer. 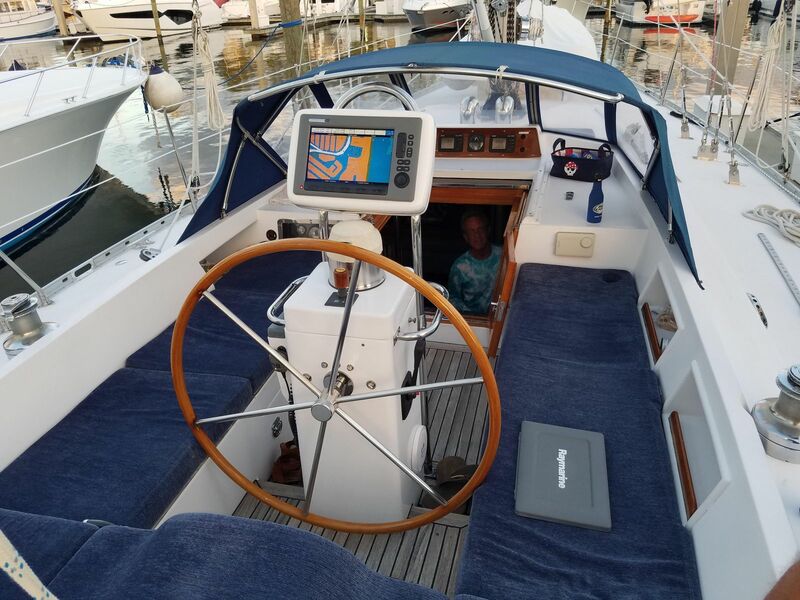 To many experienced "real world" cruisers, the Tayana 55 Center Cockpit, was at its inception and continues to be the ultimate cruising yacht. 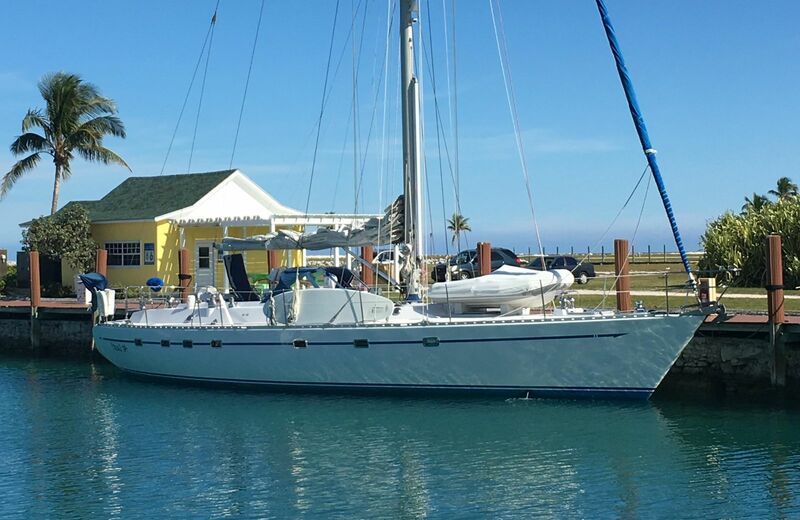 It is apparent once aboard this vessel, that nothing is an "afterthought", it was designed and built for serious cruising. The hull is one of the most durable, versatile, safest and best-performance hulls in its class. 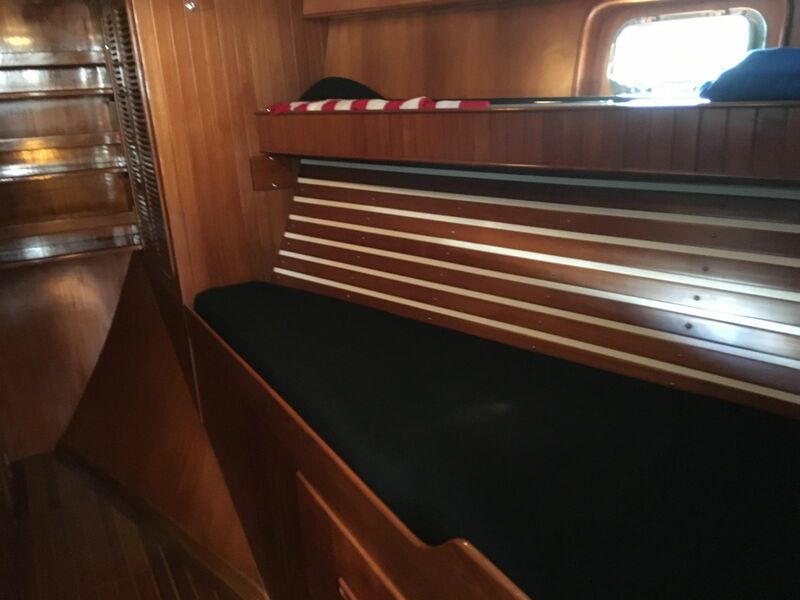 The clean flush deck forward provides delicious space for sail handling and even dinghy and life raft storage. 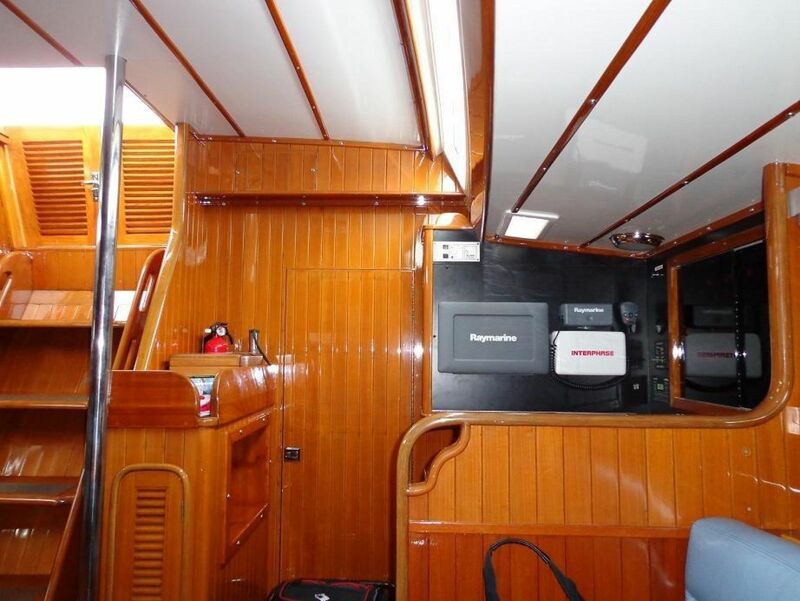 The deck access storage both forward in the sail locker and in the huge aft full beam lazarette is unsurpassed. The wide (16'2") beam of T55 provides excellent form stability and is spacious with excellent storage throughout. 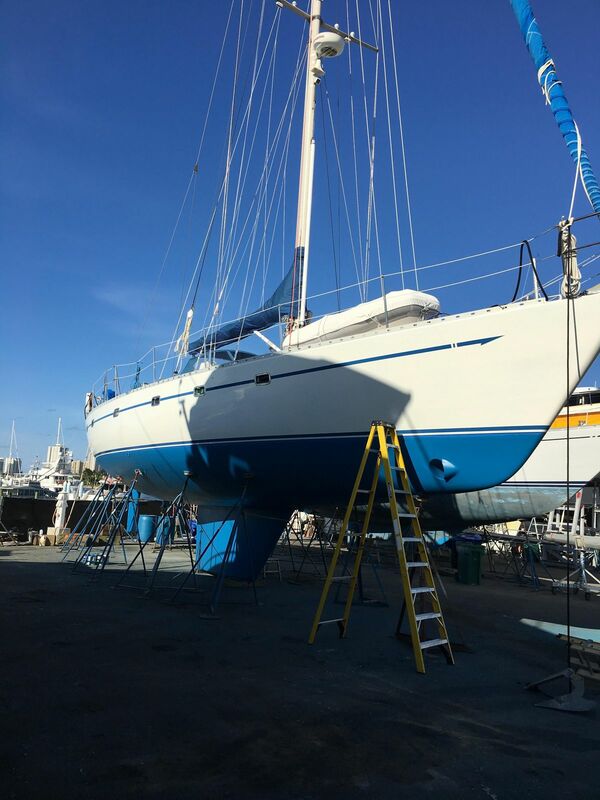 Few yachts of this size have a full stand-up engine room with workbench and terrific access to its machinery. 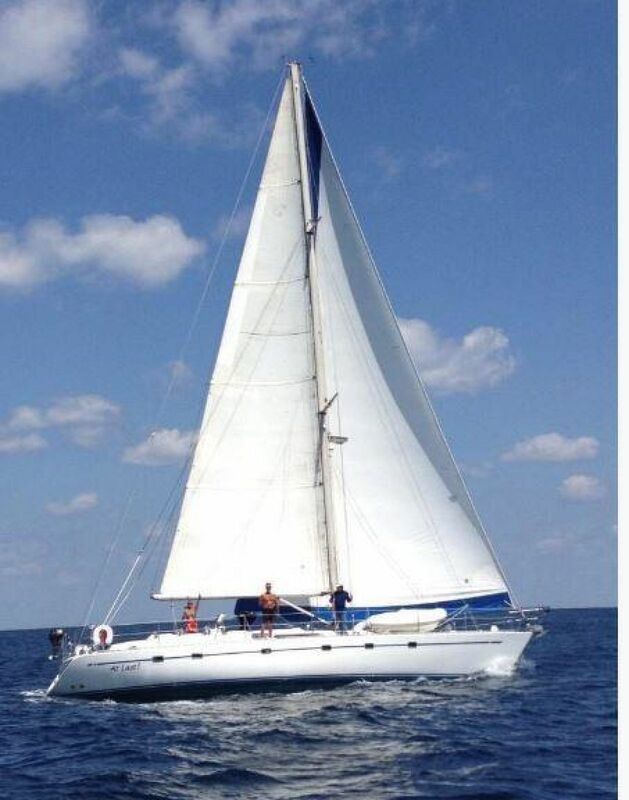 There is not a better value in a yacht of this class, of this size on the market. Strength, performance, comfort, style, and elegance describe this beautifully designed legend. With its two stateroom layout "AT LAST" offers unbridled room and comfort for its owners, passengers, and guests. 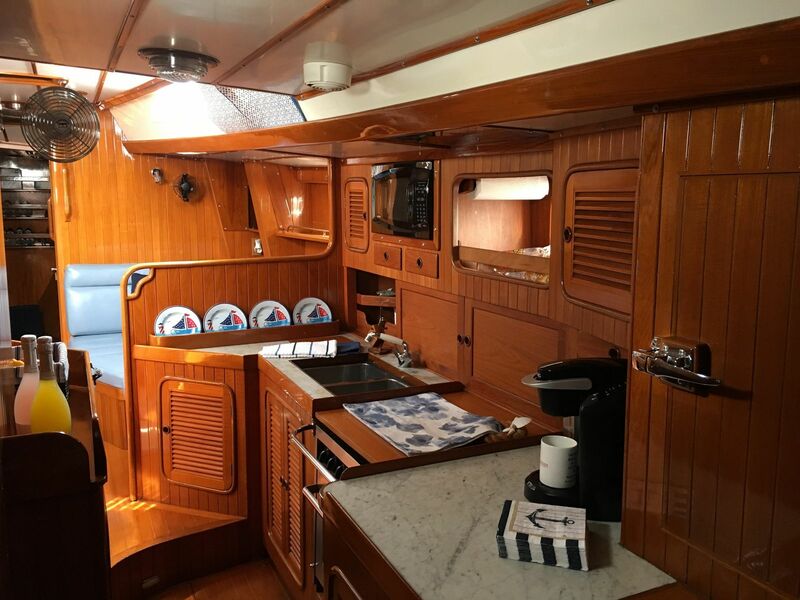 The meticulously maintained solid teak interior reflects a period when craftsmanship and abundance of fine woods was the everyday. 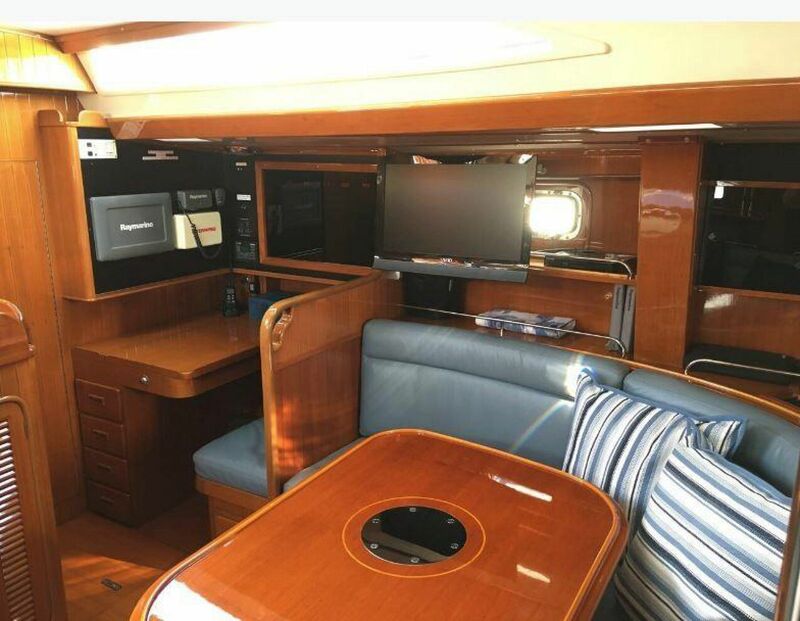 Fine marble counter tops enhance the elegance of the powder blue leather upholstery in the vessels custom interior. 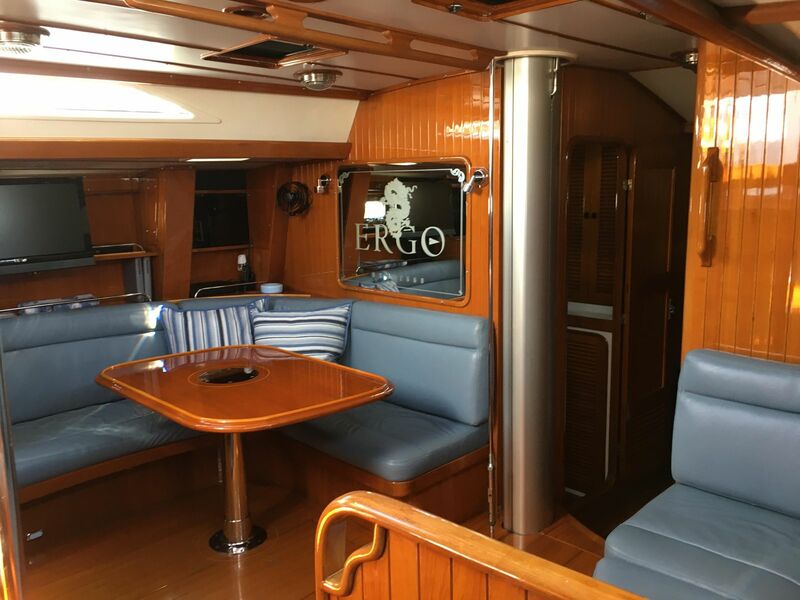 For the past seven years, this vessel has undergone an extensive renewal, restoration and upgrade as the vessels owner demanded the very best in appearance and function. 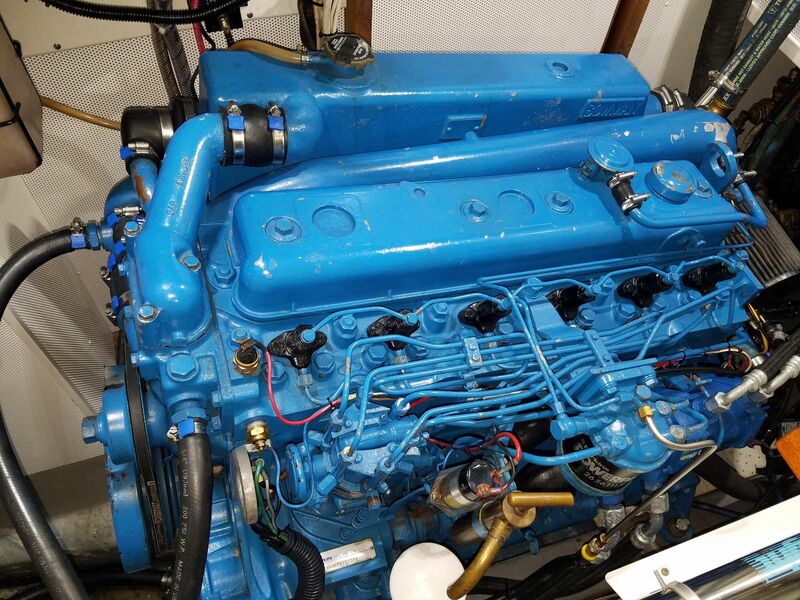 A walk-in engine room that has been beautifully renewed, maintained and customized for function makes the mechanical upkeep and service of all systems and easy task. 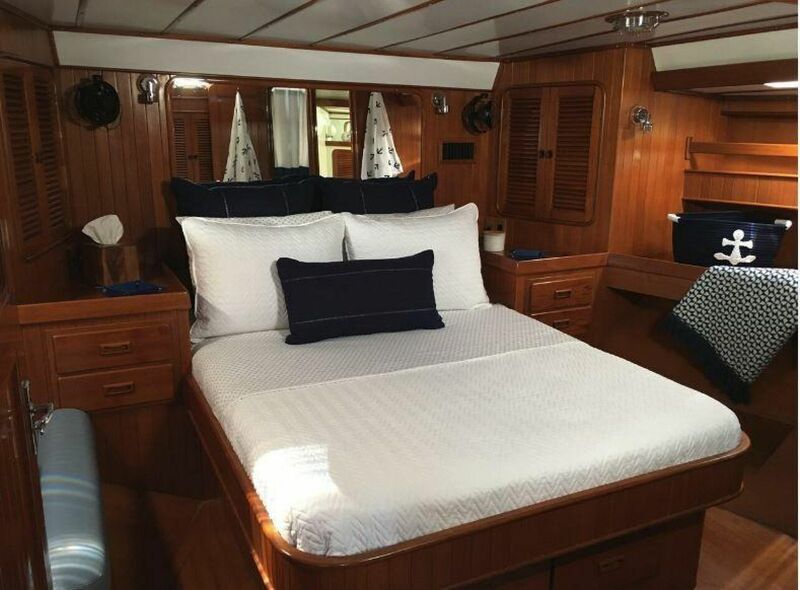 Her spacious deck makes for unhindered lounging and effortless working room while sailing, tying up and letting go. 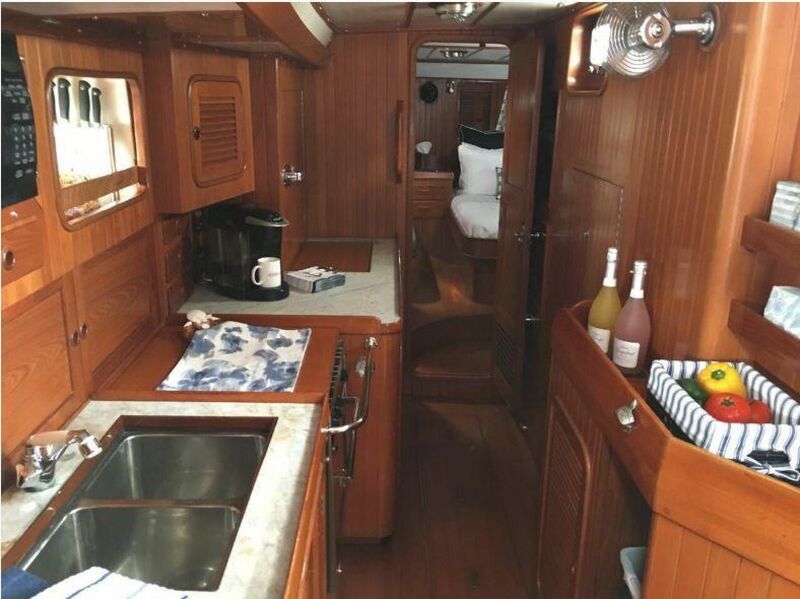 AT LAST sets the standard for beauty and function and is without question the finest example of a Tayana 55 on the market today. 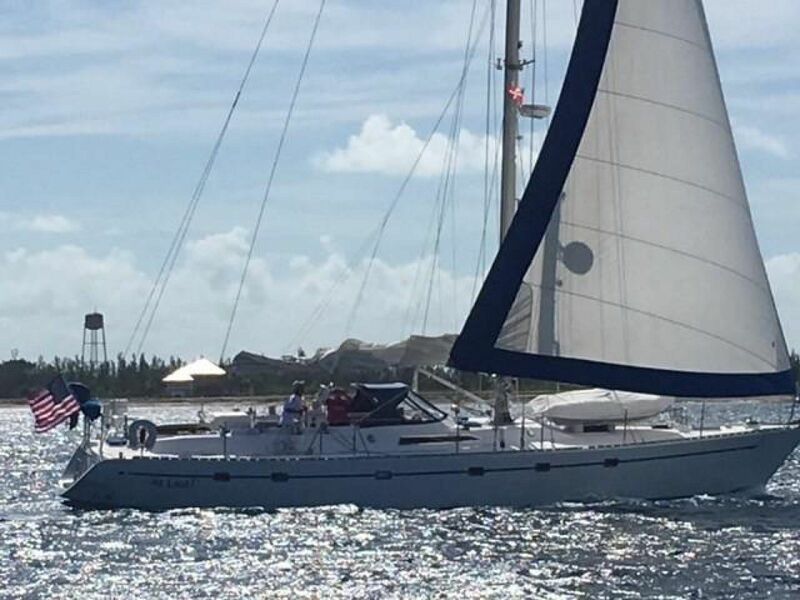 AT LAST is truly a vessel in turn key condition ready for an immediate worldwide tour departure.